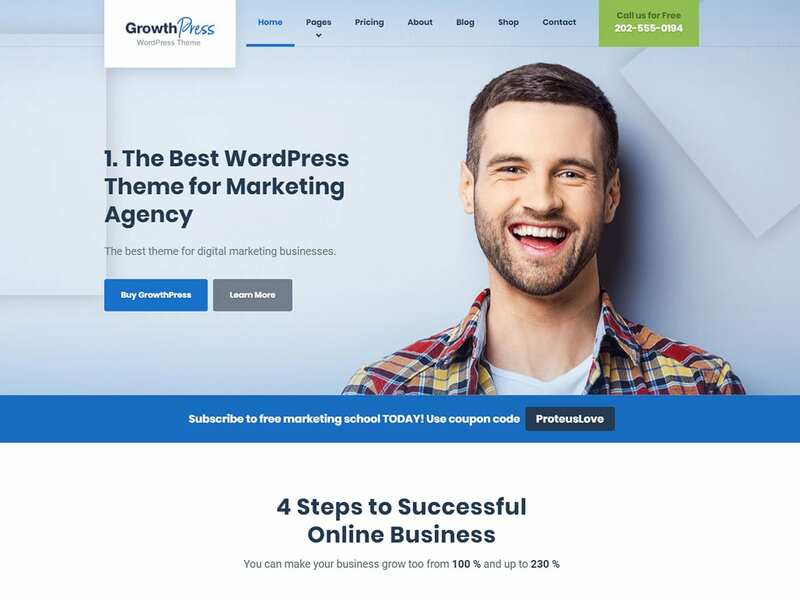 GrowthPress is all-around marketing theme with perfect blend of modern design trends and proven internet marketing techniques that convert. Congratulations! 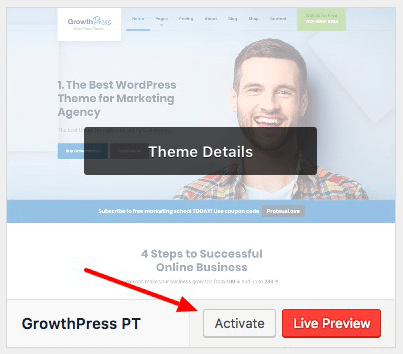 Now the GrowthPress WP Theme is installed. 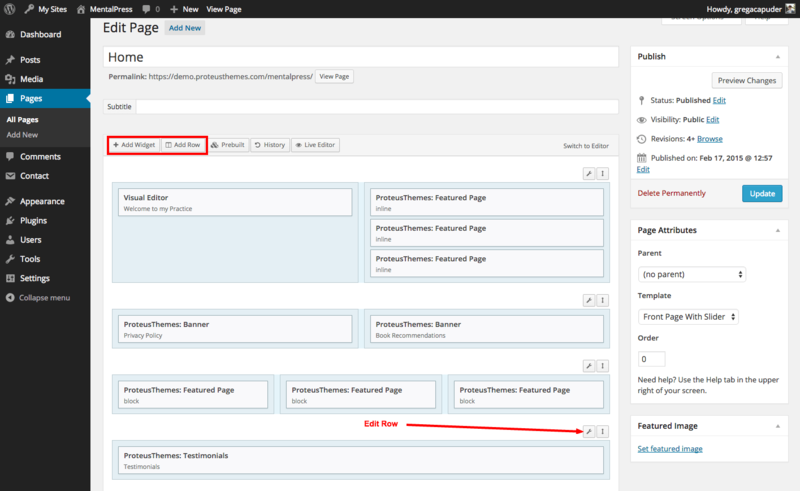 If you want to import the demo content the old-fashioned way, you can get a fresh copy of the XML file on our server at this URL: http://artifacts.proteusthemes.com/xml-exports/growthpress-latest.xml. Don't forget to activate all required plugins before importing demo data. To import the demo data go to Tools » Import, click on WordPress (install the WordPress Importer plugin if not already installed) and upload/import the previously saved xml file (don't forget to enable the Download and import file attachments checkbox to also import the images). 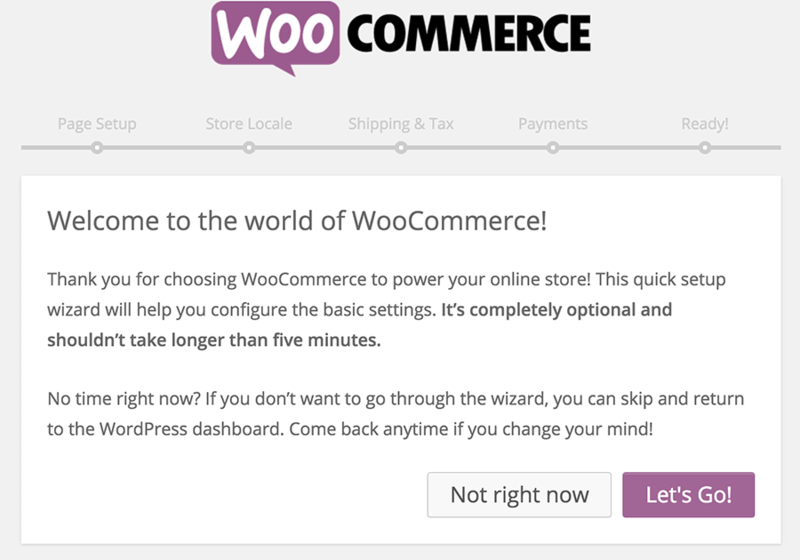 After you import the demo content, you can also import widgets the old-fashioned way. The file for widget import is also located on our server: http://artifacts.proteusthemes.com/json-widgets/growthpress.json. Rename this file to growthpress.wie (mind the file extension) and use it in the plugin Widget Importer & Exporter. Go to Tools » Widget Import/Export and import the file. You can choose between 4 different Templates - Default Template, Front Page with Slider and Front Page With Layer/Revolution Slider and Empty Template. Empty Template (no header and footer): This is an empty page template and it can be used in many different cases. 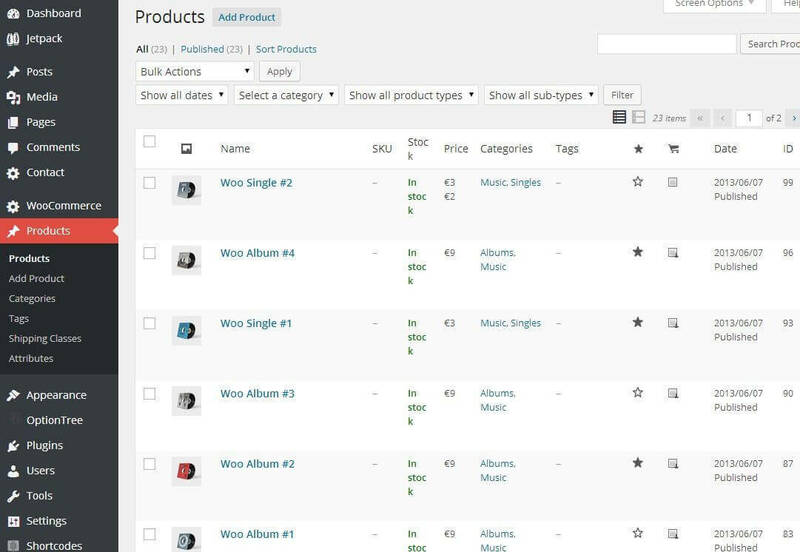 For example a sales page, which should not show any distraction elements (logo, menu, footer,...). When you select this page template, the options for it will display under the content editor, which allow you to enable certain elements, if you need them (logo, menu, footer). 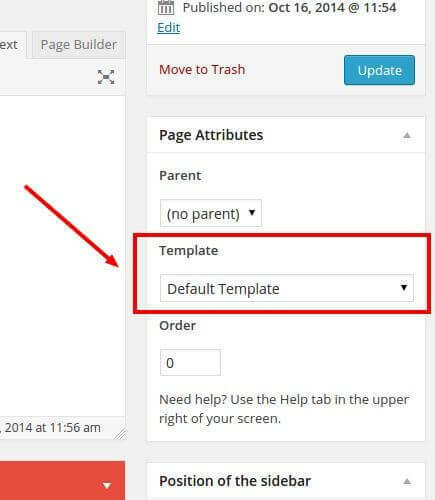 The content can be layout out and created with the awesome Page Builder by SiteOrigin editor. The sidebar options for the blog and the single posts are available in Appearance » Customize » Theme Options » Blog. 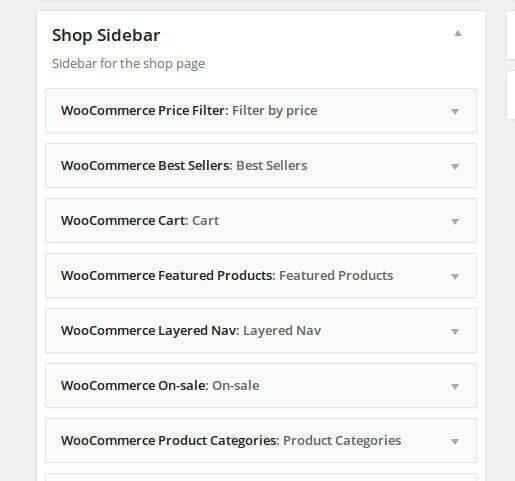 You can create a Theme slider on any page you want. The only thing you must do is choose the page template Front Page With Slider (you can use this template even if it's not for the front page). 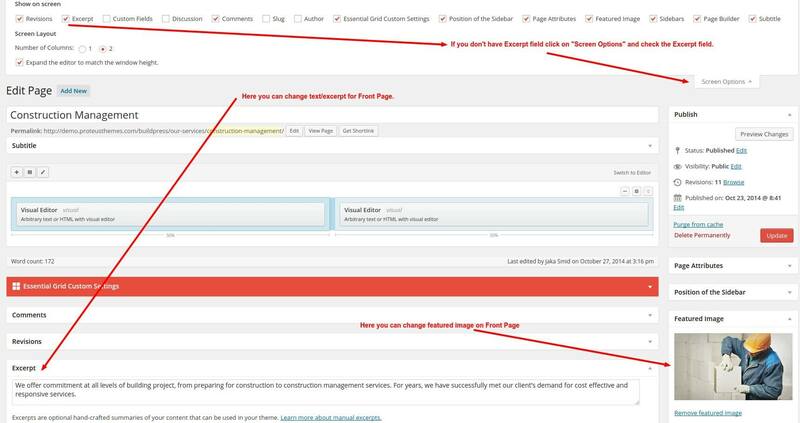 After you select this page template there will be a new meta box at the bottom of the page which is called Front page slider. Now you can add images or videos to your slider. Growth icon: You can add our growth icon to the button. Corners: You can change the corners of your button to be rounded. Shortcode for GrowthPress icons is the same as for the Font Awesome. You are able to use our GrowthPress icons shortcode with the same attributes: icon, href, target and color, so look at how to use these attributes in the Font Awesome shortcode section above. The only difference is, how the icons are passed. Take a look at the example below. Icon: You can use any Growth icon. To set the selected icon, just get the class of the icon, for example "gp gp-bar-chart". With this theme, we also include custom Growth icon font, that you can use in our theme widgets, shortcodes and elsewhere on your site. These lovely icons were made by Grega Črešnar ♥. Scroll for more is a little attention grabber which can help you keep the focus of your visitors on the website. It is actually not the shortcode but the piece of the HTML code which you can include anywhere on the site. All images used in GrowthPress WP can be found on Shutterstock. 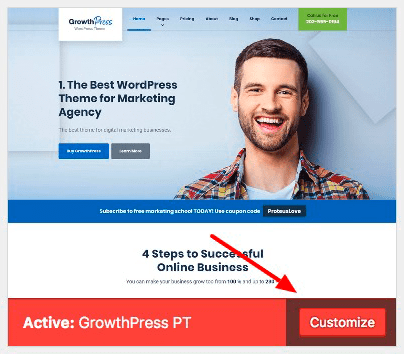 All the images shown in the demo page of GrowthPress WP are copyrighted and come blurry with the theme (demo content). View the GrowthPress WP changelog.